Zuzu is available for adoption! Zuzu likes to zoom zoom! She was found as a stray in Greenwood and turned in to a local shelter. Zuzu spent a couple months at the shelter and then came to IHRS to find her forever home. 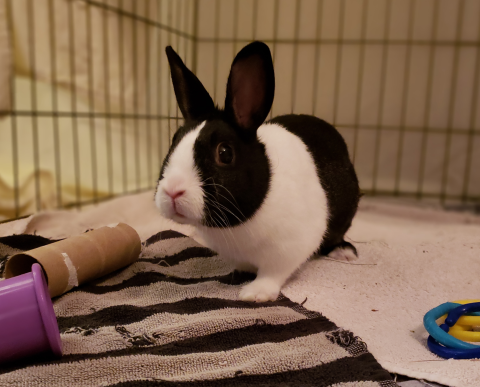 Zuzu is friendly, busy, and loves to play and binky. Can you provide ZuZu a home where she is cherished?